An essential tool for creating the perfect winged eyeliner look - Provoc's Liquid Eye Liner Brush. This ultra thin, fine tipped brush is ideal for creating supper thin or thick upper lid strokes and extra pointed wings. It's amazingly fine and feather like bristles can reach the trickiest of areas, allow for a controlled and dense application along the lash line and help you create a classic eyeliner look. Explore the entire range of Eyeliner available on Nykaa. 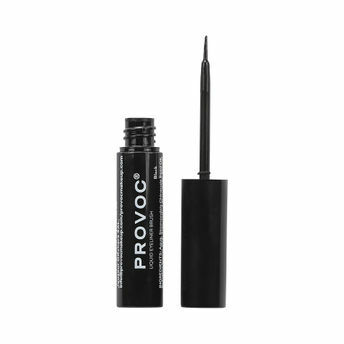 Shop more Provoc products here.You can browse through the complete world of Provoc Eyeliner .